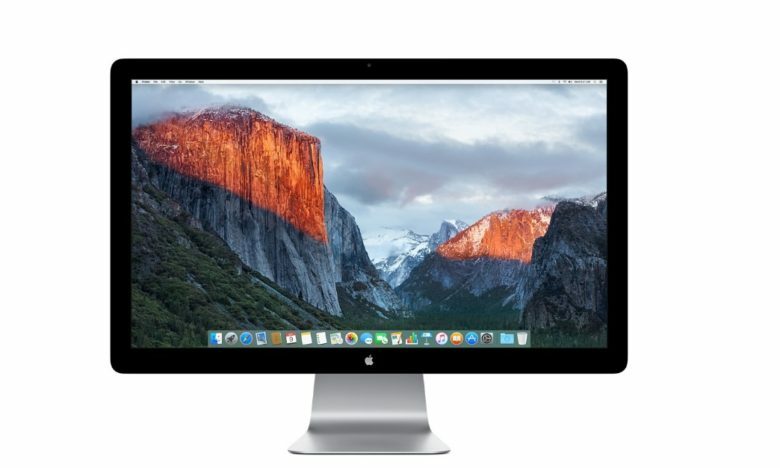 Apple's next Thunderbolt Display won't just be super sharp. Apple’s new Thunderbolt Display will ship with a built-in GPU that will provide entry-level and older Macs with enough power to drive its super sharp 5K resolution, according to sources familiar with the company’s plans. It’s been five years since Apple refreshed its standalone monitor, so the existing model is starting to look a little antiquated — especially when you still it alongside a stunning 5K iMac. But with stock now dwindling throughout the U.S., it looks like a new model is finally upon us. And according to 9to5Mac, it’s going to be pretty special. The new Thunderbolt Display won’t just offer an insanely crisp 5120×2880 resolution, but it will pack its very own GPU that will ensure your Mac can drive it without any performance issues. “Our sources explain that the reason for it is primarily for compatibility with as many future Macs as possible,” reads the report. It takes a lot of power to push all those pixels without impacting system performance, so older machines, and those with low-end GPUs, would struggle. This is a problem for Apple. Its mission to make MacBooks thinner and lighter often means sacrificing some performance, which is why its latest 12-inch MacBook is no good for games and other graphically intensive tasks — despite its hefty price tag. Apple obviously doesn’t want to offer a display that only a certain portion of users can enjoy, so giving it its own GPU solves that problem. It could also allow machines like the MacBook to run certain games more smoothly. With its next OS X update, Apple will reportedly add a new feature that makes using that new Thunderbolt Display totally seamless. When you connect it to your Mac, OS X quickly works out which one has the most powerful GPU, then uses it, leaving the other one inactive. It’s thought only one GPU will be used at all times, and that the two will not run in conjunction with one another. This suggests to me that the GPU inside the Thunderbolt Display won’t be a super powerful one. To keep costs low (and profit margins high), Apple will likely choose one that provides just enough power to provide a smooth 5K experience, and not a lot else. If you own a high-end Mac Pro with the best GPUs available, then — or maybe even a top-of-the-line iMac — it’s unlikely you’re going to get greater performance when pairing it with a new Thunderbolt Display. It’s not yet clear how this display will connect to your Mac, but with Apple’s switch to USB-C on the MacBook — and apparently the new MacBook Pro — that seems like the most likely solution. 9to5 adds that the display panel itself will be almost identical to that in the 5K iMac.